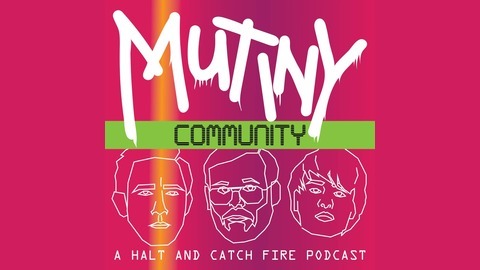 Mutiny Community is the officially unofficial podcast for Halt and Catch fire on AMC. 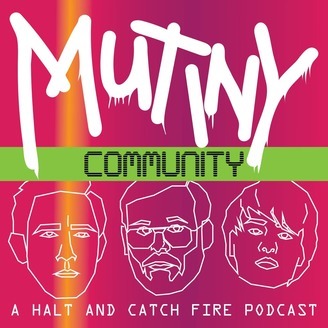 Join us each Thursday after the show for a discussion of the episode including our thoughts and listener feedback. Halt and Catch Fire season 3 has come to an end, and by God, it deserves a ton of credit for being awesome. The character growth, the intrinsic love story, the shoutout to Al Gore- it all adds up to a satisfying ride with some of our favorite characters on television. The best news? A final season has been announced for this show, which means that we get to have real closure with these characters sometime next year. Tell your friends, more people need to be watching this show!